The Balmorhea CBC traditionally falls on the day following the Davis Mountains. The count circle includes the state park, Phantom Springs, Balmorhea Lake, and wide open spaces around town. The count routinely records 100 species and, as with most rural counts, more observers are always welcome. If possible, please contact Mark Lockwood ahead of time of your interest in participating in the Balmorhea count. Meet at the Balmorhea State Park entry station at 07:30 AM CST. Compiler: Mark Lockwood (Mark.Lockwood@tpwd.state.tx.us). We will meet in front of the Rio Grande Village Campground Store at 7:15 AM. Birds of note seen during recent counts include: American Bittern, Sora, White-throated Swift, Green Kingfisher, Red-naped Sapsucker, Gray Flycatcher, Dusky Flycatcher, Sage Thrasher, Crissal Thrasher & Green-tailed Towhee. Participants always appreciated and needed. Please contact Bryan Hale at bmhale@swbell.net (email preferred) or phone 512-474-5499 (h) 512-912-4412 (w) 512-426-6033 (cell) for further details. Mark Flippo will also be a contact person out there. He is a ranger at the park and his phone is 432-477-1110. We will meet in the Basin in front of the grocery store at 7:15 AM. Areas will be assigned. Birds of note seen during recent counts include: Golden Eagle, White-throated Swift, Anna's Hummingbird, Red-naped Sapsucker, Plumbeous Vireo, Hutton's Vireo, Mexican Jay, Townsend's Solitaire, Sage Thrasher, Crissal Thrasher & Green-tailed Towhee. Participants always appreciated and needed. Please contact Bryan Hale at bmhale@swbell.net (email preferred) or phone 512-474-5499 (h) 512-912-4412 (w) 512-426-6033 (cell) for further details. Mark Flippo will also be a contact person out there. He is a ranger at the park and his phone is 432-477-1110. Located 45 miles west of Del Rio, the count circle includes parts of the Rio Grande and Pecos Rivers. 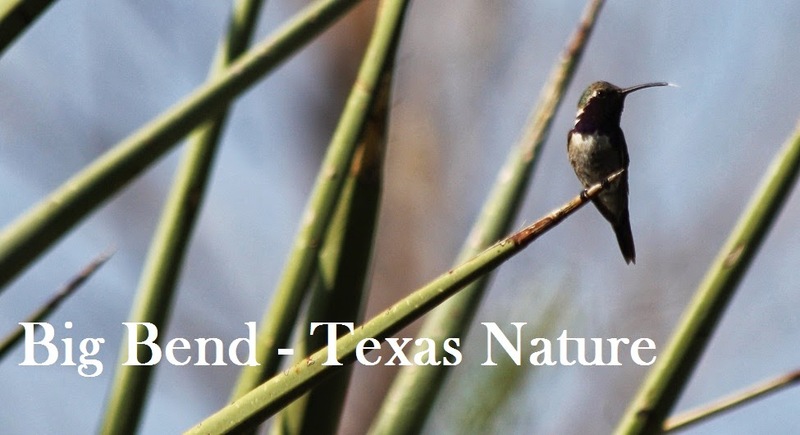 Meet at the Visitor's Center in Seminole Canyon State Historical Park at 7 AM. Some routes on this count require a lot of walking. Should anyone wish to assist please contact compiler Sue Wiedenfeld at suewie@hctc.net or phone 830-995-2300 to sign up and for further details. Open to all participants. Please preregister. Interested persons can e-mail compiler Karen Gleason at mgleason@stx.rr.com. Please include your phone number in your email. Your participation is appreciated. Within the count circle there is Lake Amistad, Rio Grande River, San Felipe and Spring Creeks, Amistad Recreation Area, Laguna de Plata, and much of Del Rio. We will be meeting at Fisherman's Headquarters at 7 AM on count day. We are always looking for enough people to cover the count circle. It would be great to have anyone from across the state to come out to far west Texas for the count. This is one of the few places in Texas you can find Steller's Jays. Other birds of note from recent counts include: Golden Eagle, Mountain Chickadee, Juniper Titmouse, Pygmy Nuthatch, Mountain and Western Bluebirds, Townsend's Solitaire, Sage and Crissal Thrasher, Green-tailed Towhee, Sage Sparrow and a variety of Dark-eyed Junco ssp. Please contact the compiler before count day because coverage areas will be assigned before count day. Most areas require hiking. Participants will meet at 6:45 AM at the Pine Springs Cholla Chateau (call 915-828-3251 x2314 for directions) to be sure all areas are covered. Preliminary post-count tally will be at the Cholla at the end of the day. Some housing or RV space may be available for Friday and Saturday nights for $8.00 per person per night. Advance reservations required (phone number above). Contact Michael Haynie (Michael_Haynie@nps.gov) for more information about joining.